I've picked up a few new cars since last update. Some of them are because I have classes to run them in, and some are because I just really like the car. The McLaren M8D is an example of the latter. I originally wanted to convert this car to an anglewinder and slap a Flat 6 RS into it for our unlimited class, but it can't be anglewound, so it has to stay as a sidewinder. 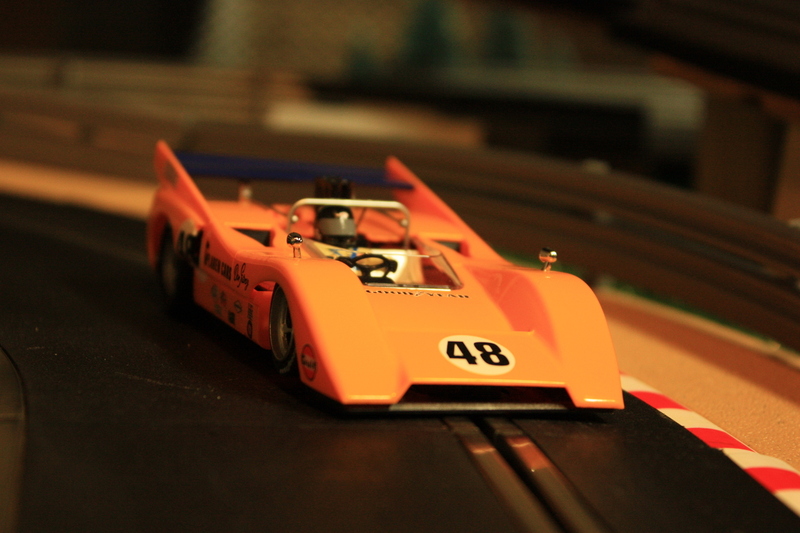 I might swap out the rear wheels/tires and try a better motor, but if not it's just a really nice car to look at. 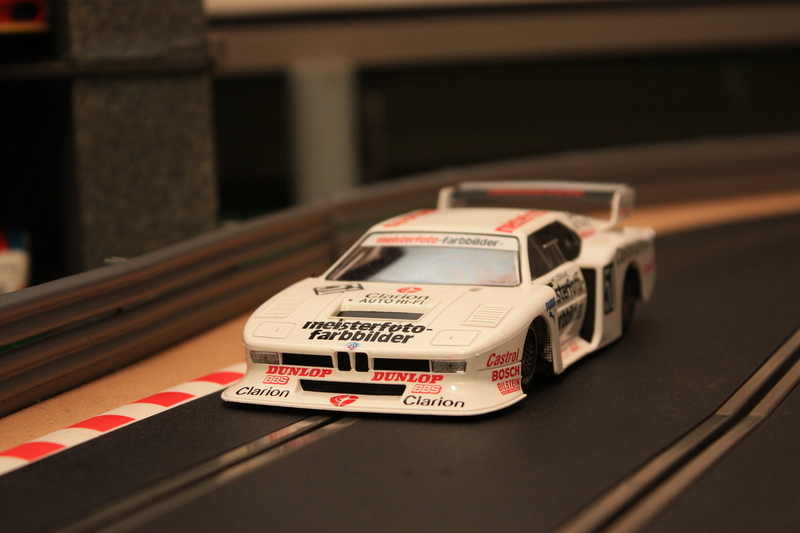 Next is a BMW M1 by "Sideways by Racer", for our FIA Group 5 class. This car has slot.it parts and is REALLY well balanced. 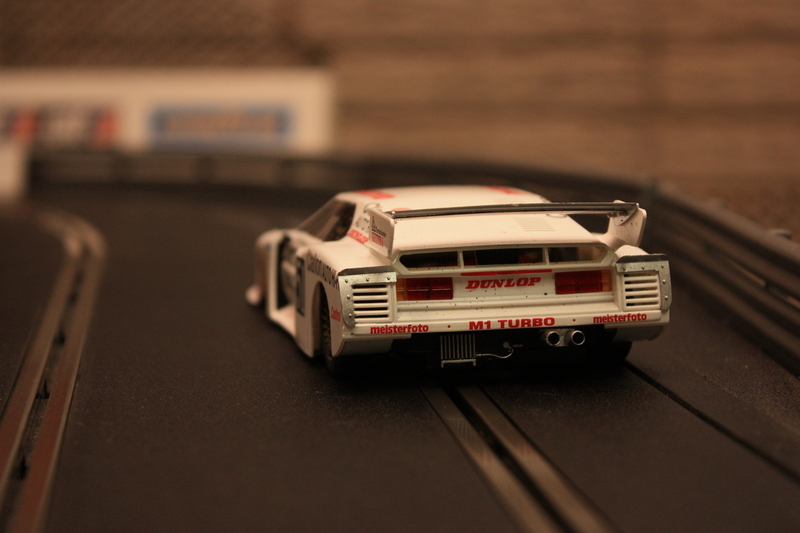 It just laps the track like a bandit with no complaints at all. I swapped the stock motor pod out for a slot.it hard model to control the torque of the Flat 6 motor, and threw NSR rubber out back, but those are the only mods really. 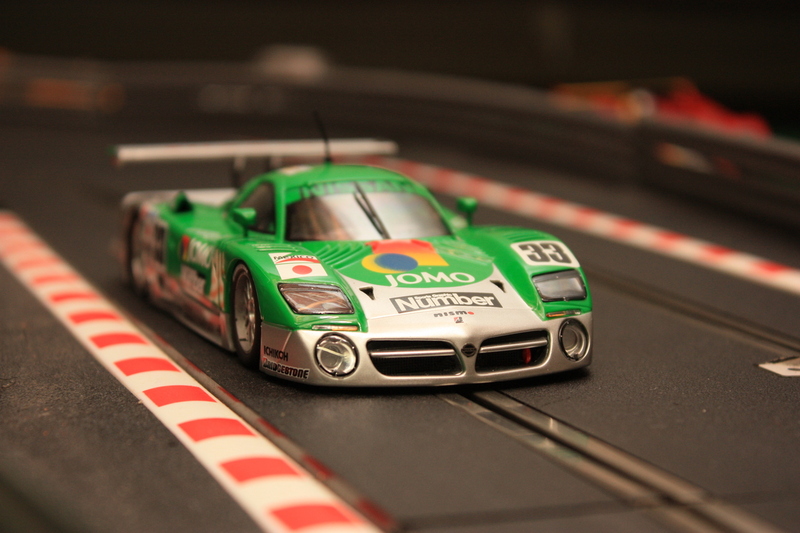 Finally we have a Nissan R390 by slot.it. I LOVE the way these cars look, and have always wanted one. I immediately converted this to an anglewinder with a Flat 6 S, but I'm having some tire clearance issues on the drive side. Once that's solved (probably by wheels with shorter hubs) this thing should really hook up. It'll need new rubber out back and some tuning of course, but the car is so low and flat it seems like it can only be fast. We have a modern Lemans class that I can run it in, but currently I'm running my Audi R8C, into which I've just swapped a 25k S can motor, tweaked the gearing, and ditched the urethane tires for NSR rubber. How fast that goes will determine how much work goes into the Nissan.